For the first time in six years, Oracle Think Tank is the most dominant deck of the format, with Kagerо̄ just beginning to close the gap in the last 48 hours. Kagerо̄ spent most of this week lagging two to three tops behind OTT on any given day. 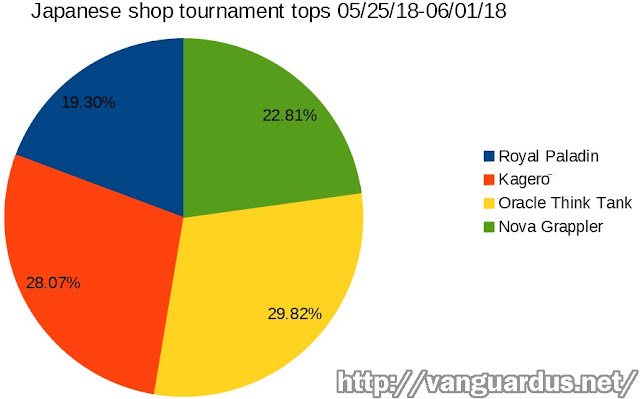 Nova Grappler was originally topping less than any of the other three clans individually, but gradually pushed Royal Paladin into fourth towards the end of the week. 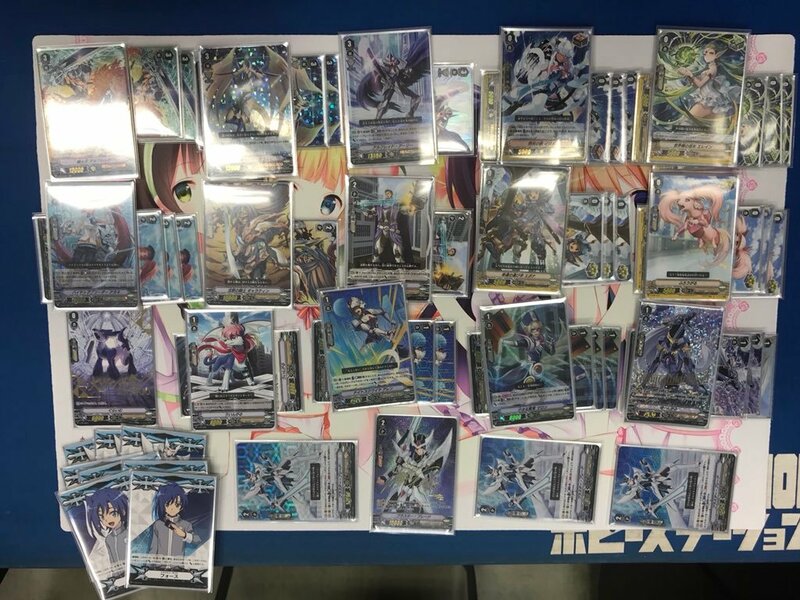 These numbers are based on just 57 reported results out of several hundred tournaments that took place this week; as the format progresses it will become possible to aggregate results across the entirety of the V-BT01 format, creating more representative data. 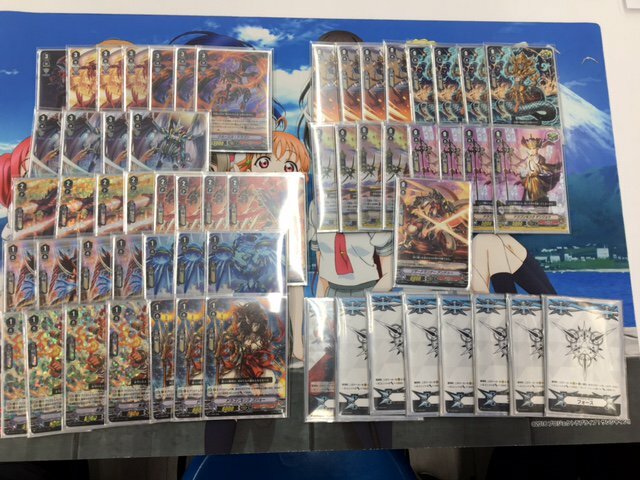 We have participation numbers for only 13 of these tournaments. Max is 26, min is 7. 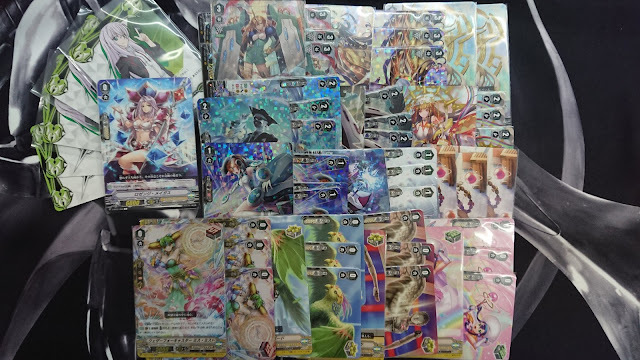 The Oracle Think Tank top from Card Labo Nagoya appears to contain 51 cards. The top was still counted in the above breakdown, but not in the grade ratio average for OTT. If the result were ruled out, Oracles and Kagerо̄ would become tied and make up 28.57% of tops. 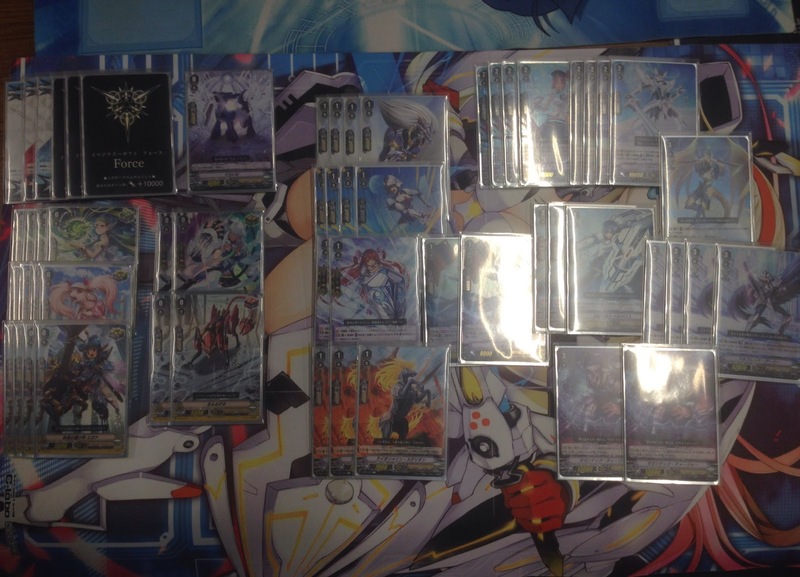 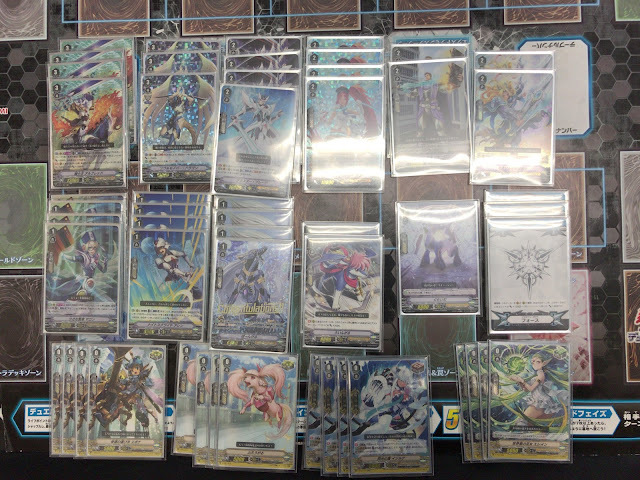 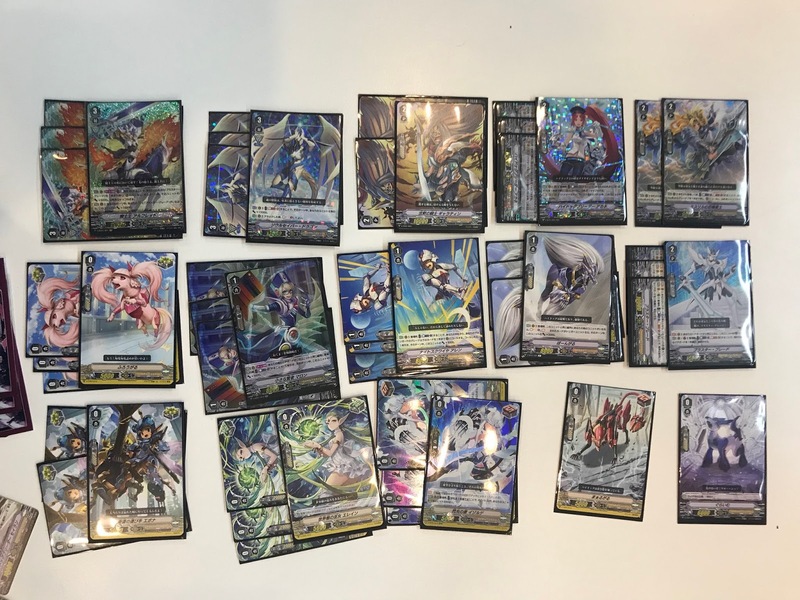 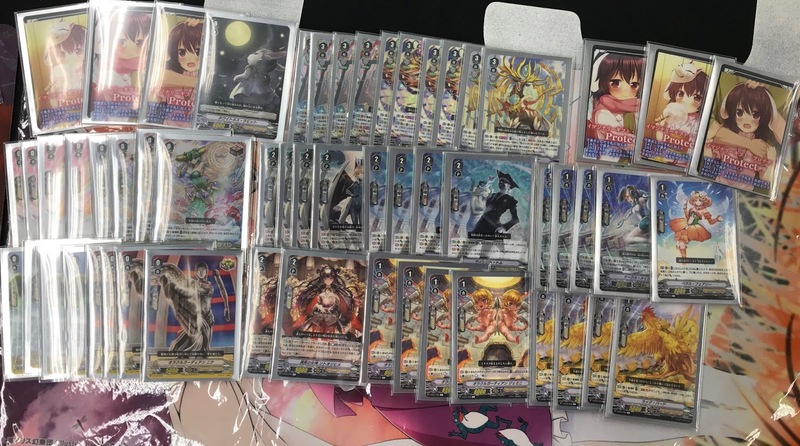 Overview: The majority of Royal Paladin decks run King of Knights with Soul Saver, with Alfred Early as a distant third choice, and a handful using Gigantech Charger. 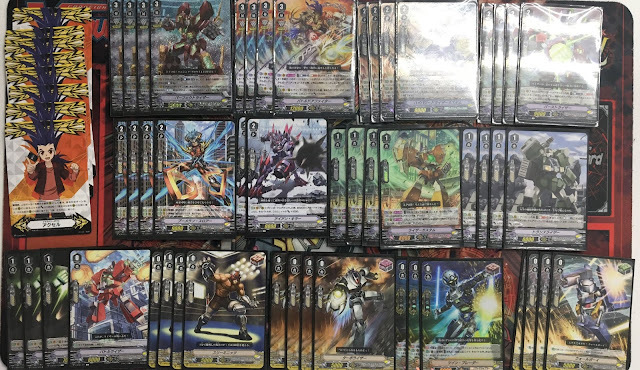 All Royal Paladin tops run Blaster Blade and High Dog Breeder Akane, but there is no agreement on what to use for the final grade 2 slot. The Trial Deck version of Sage of the Arts Jauron is the most common pick, with Conjurer of Mithril and Funnergal tied for second. 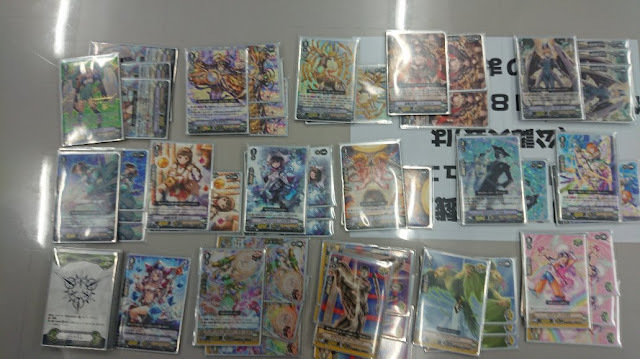 Pongal, Marron, and Allen are in every deck that has topped this week, with fighters split on whether to run TD Wingal or Lion Mane Stallion. 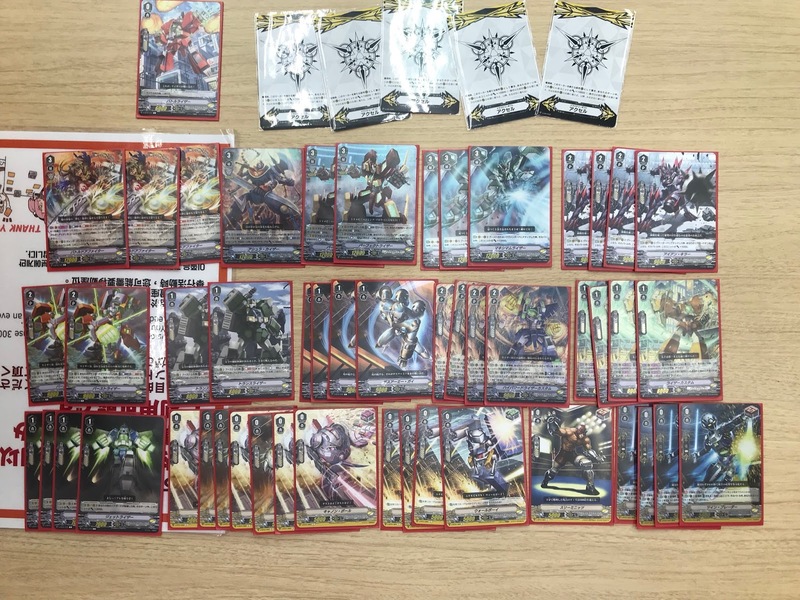 The average grade ratio for Royal Paladin is 17 grade 0s, 13.27 grade 1s, 11.72 grade 2s, and 7.9 grade 3s. The average trigger lineup is 4 Heal 4 Draw 8 Critical. 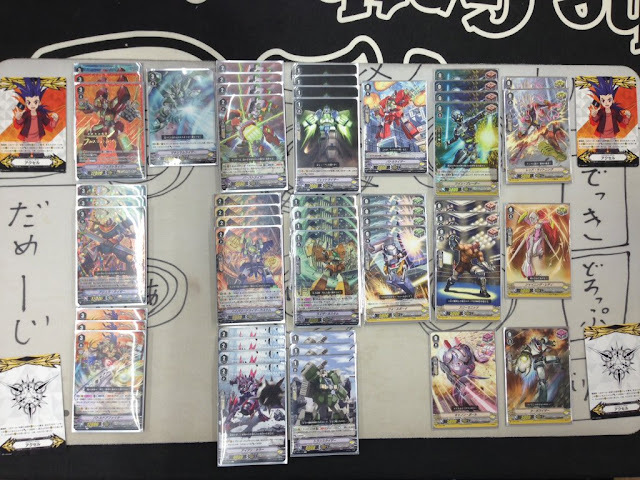 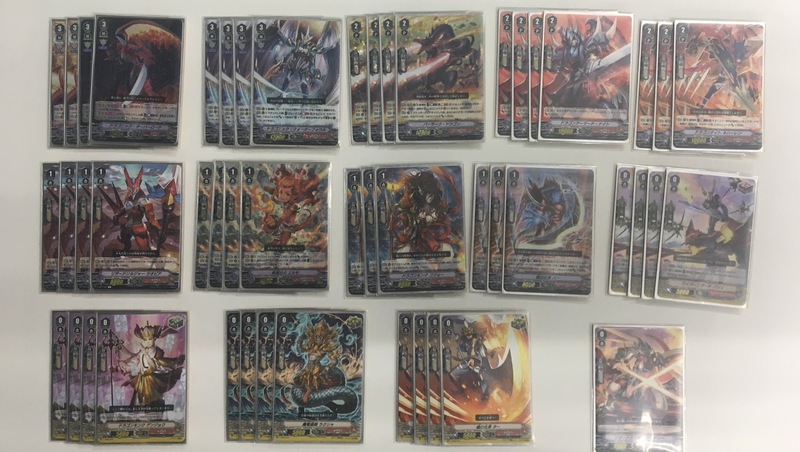 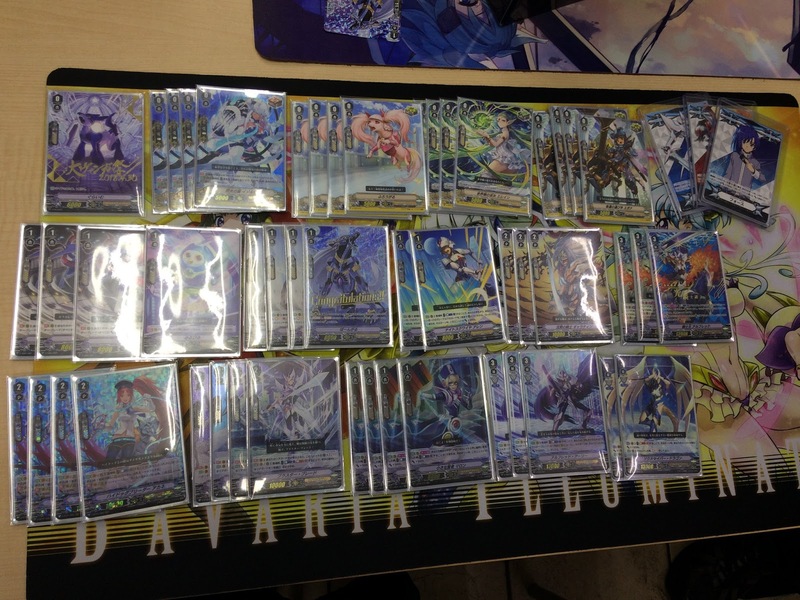 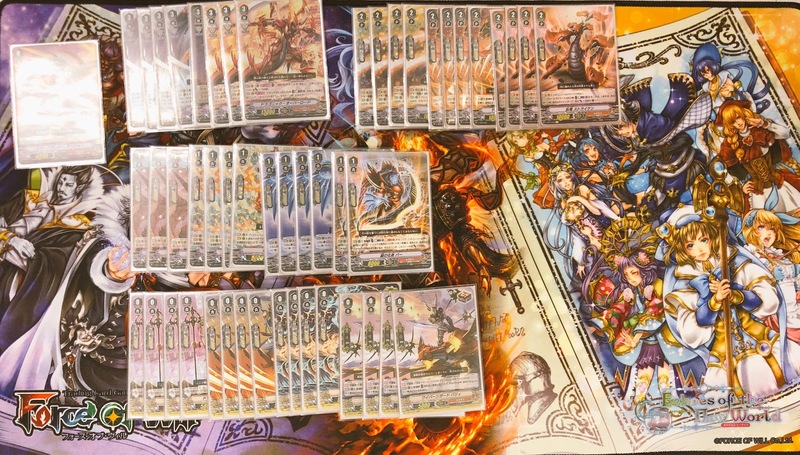 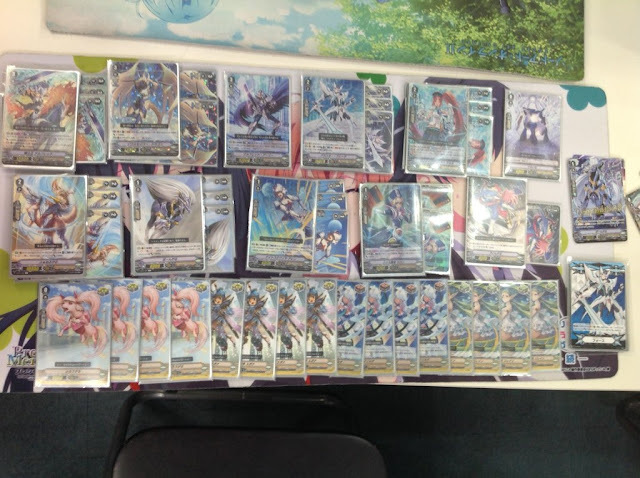 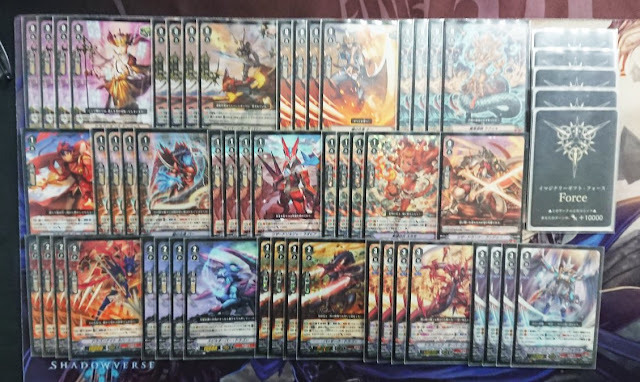 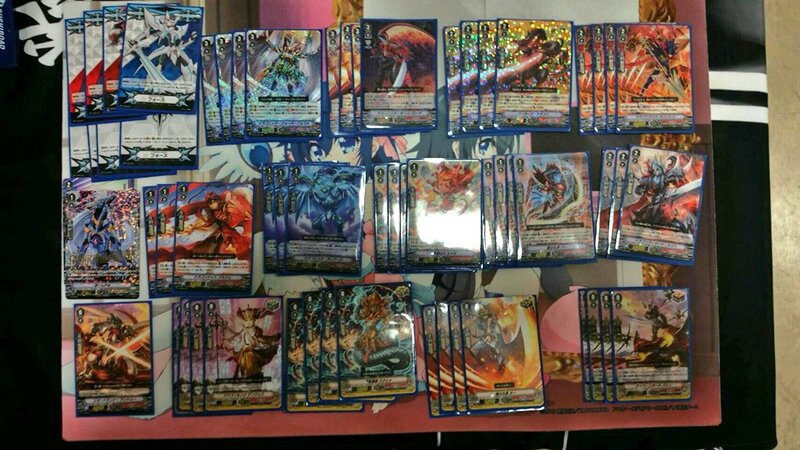 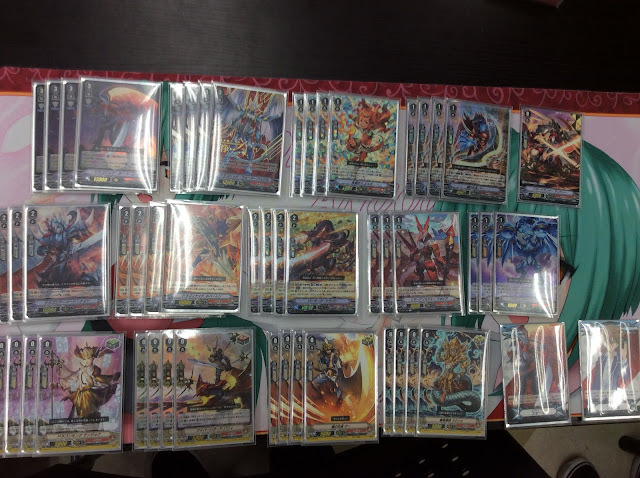 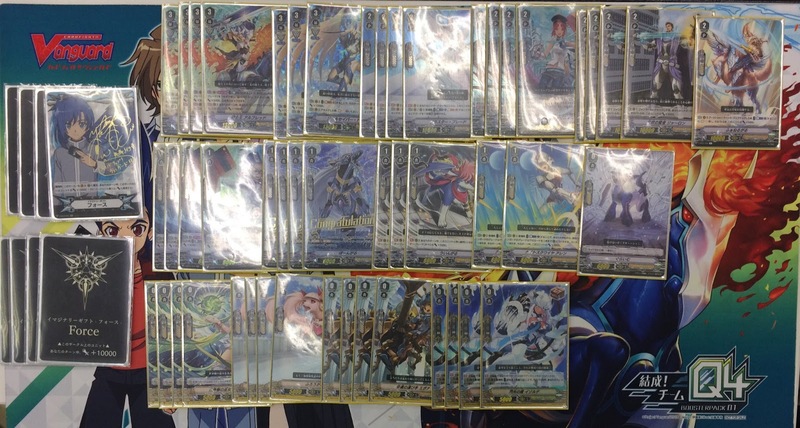 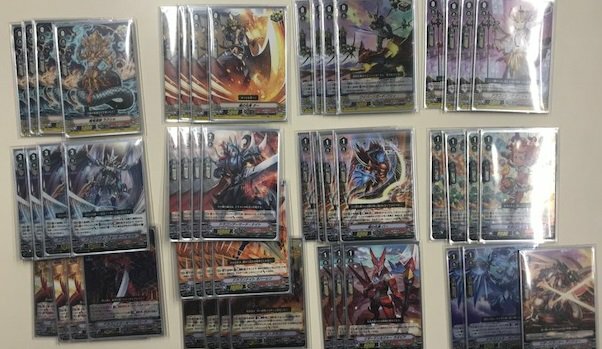 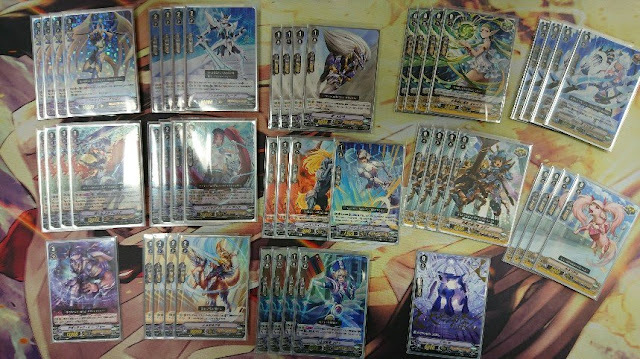 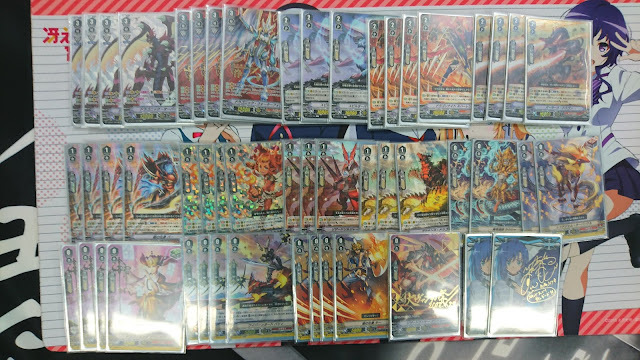 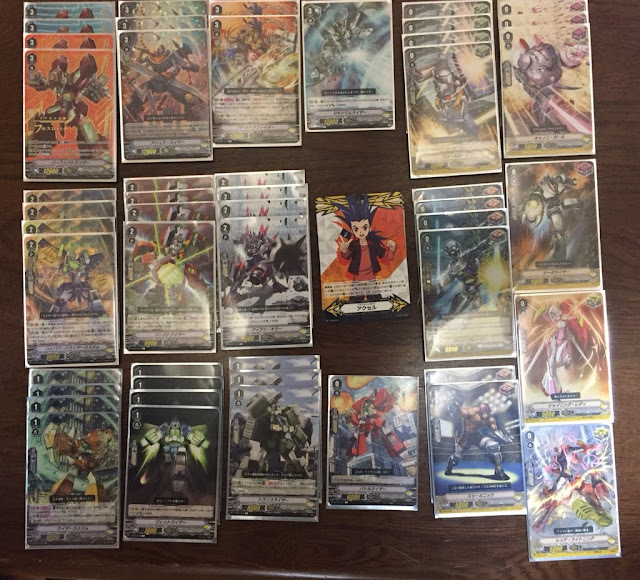 Overview: All Kagerо̄ tops run Dragonic Overlord and Dragonic Waterfall in their grade 3s lineup. 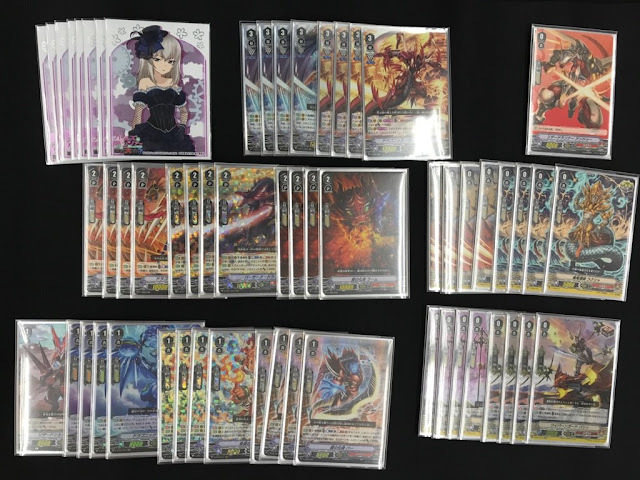 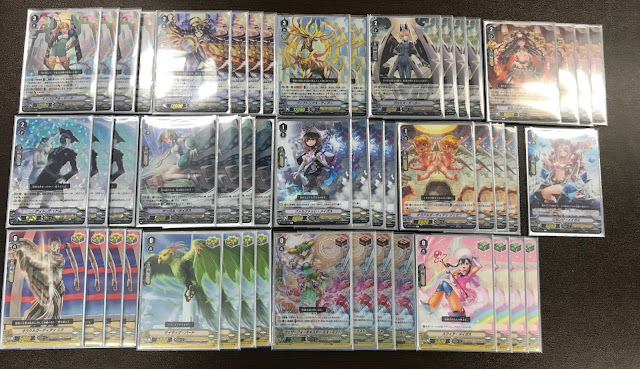 All decks run Berserk Dragon and the Trial Deck print of Nehalem, but like Royals there is a divide on one to do with their third grade 2 slot. 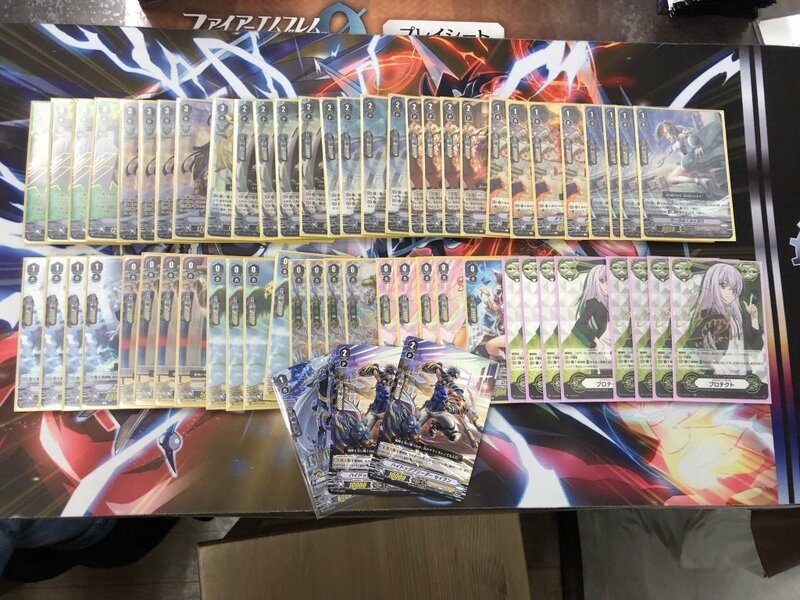 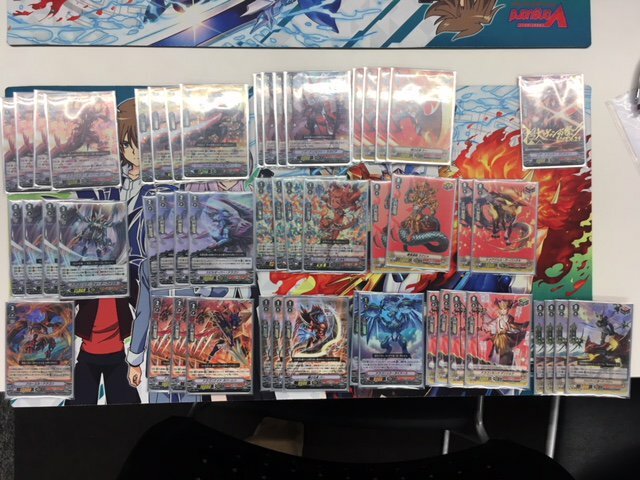 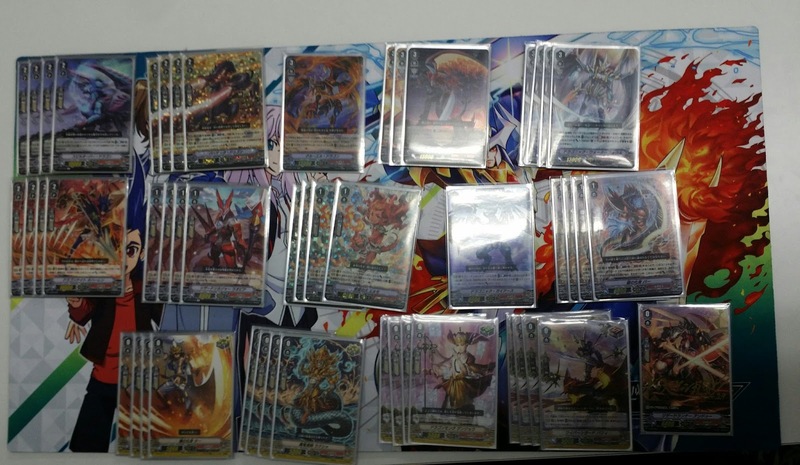 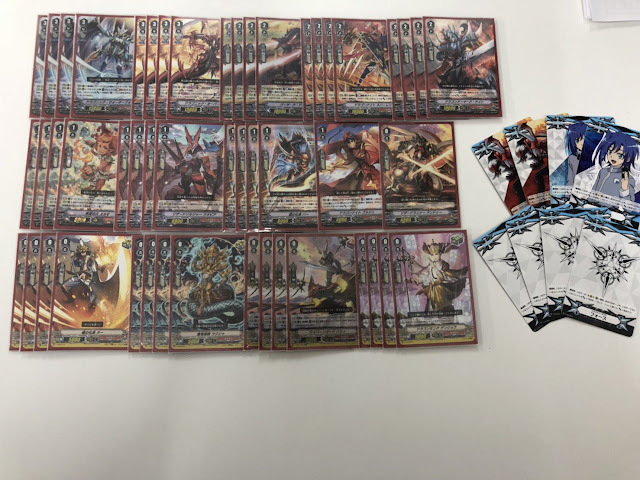 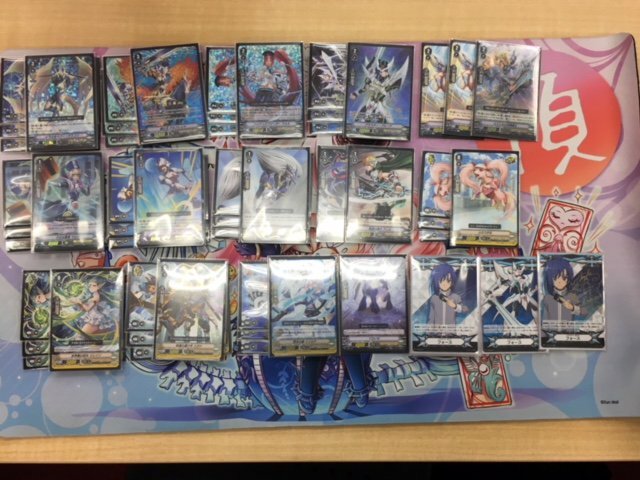 6 decks run the Trial Deck Dragon Armored Knight, 5 run Spillover Dragon, and one fighter decided to run 3 copies of Cruel Dragon instead of a third grade 2. 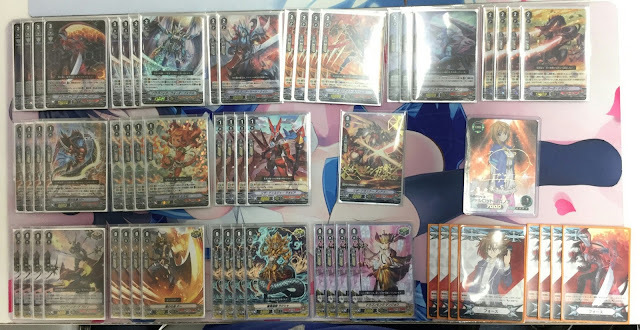 Every deck runs Embodiment of Armor Bahr and almost all run Flame of Hope Aermo. 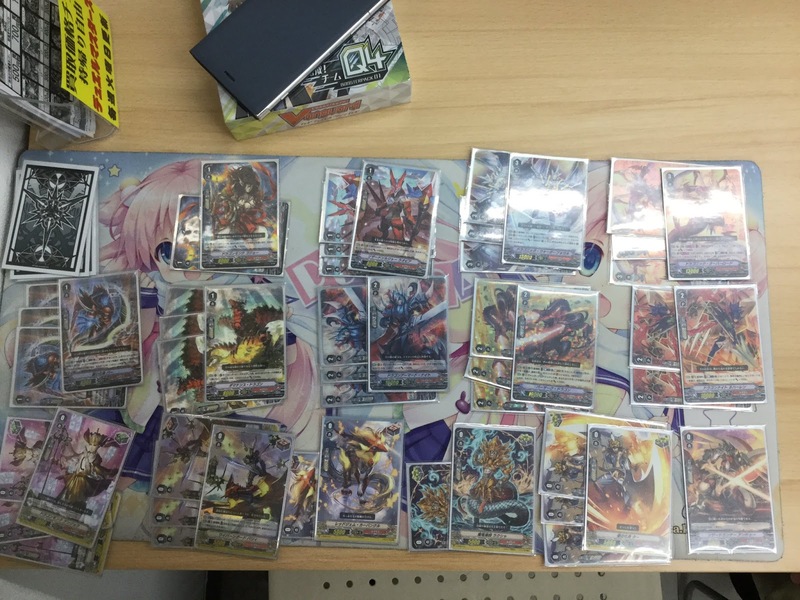 The most popular grade 1 after them is Lizard Soldier Raopia followed by Dragonic Gaias. 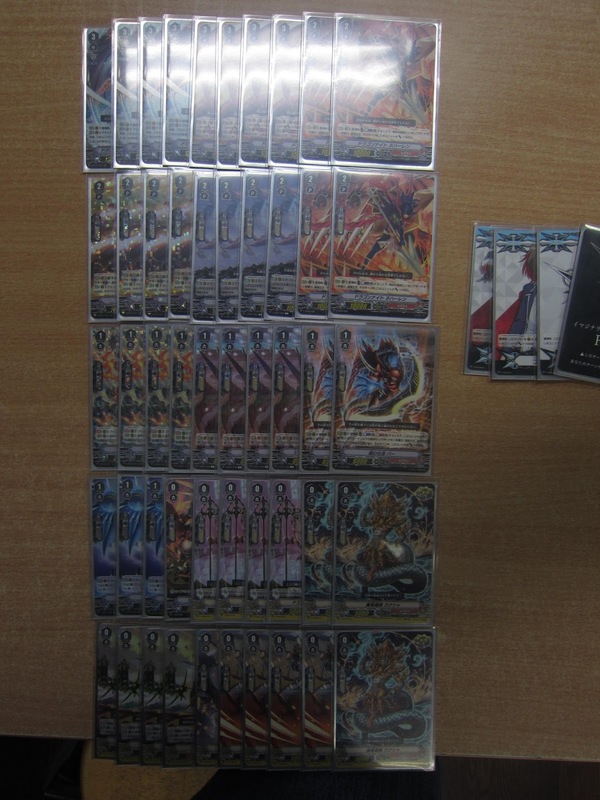 The average grade ratio for Kagerо̄ is 17 grade 0s, 13.43 grade 1s, 11.31 grade 2s, and 8.25 grade 3s. The average trigger lineup is 4 Heal 4.31 Draw 7.69 Critical. 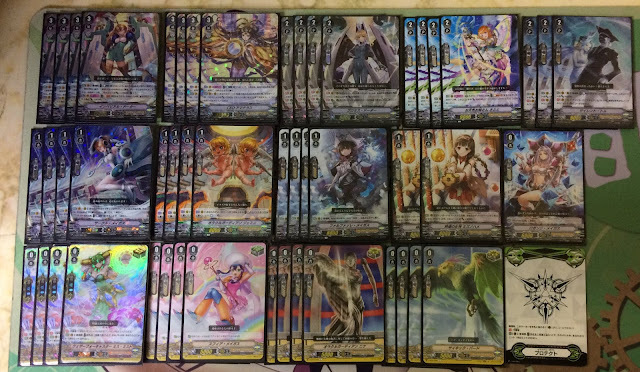 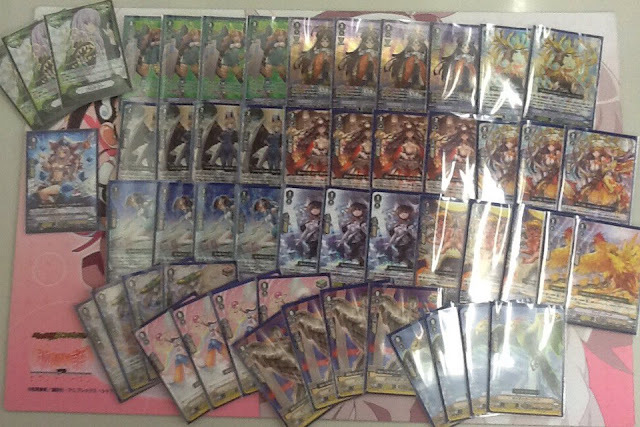 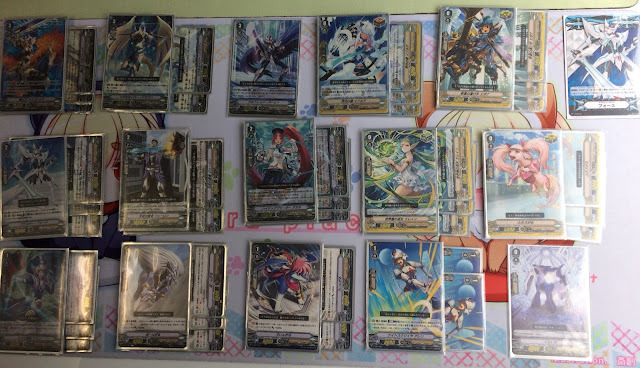 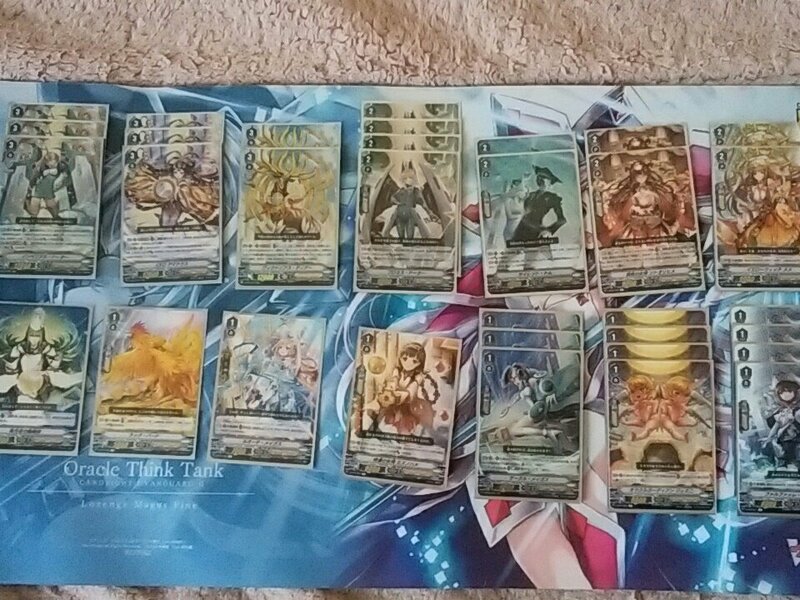 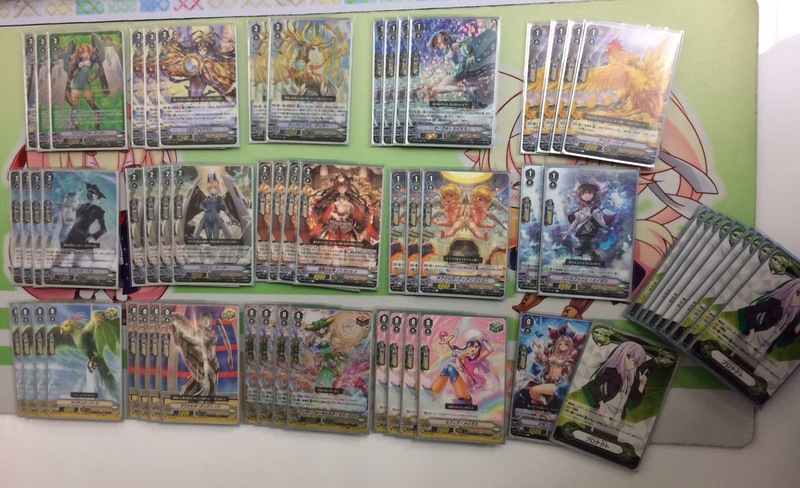 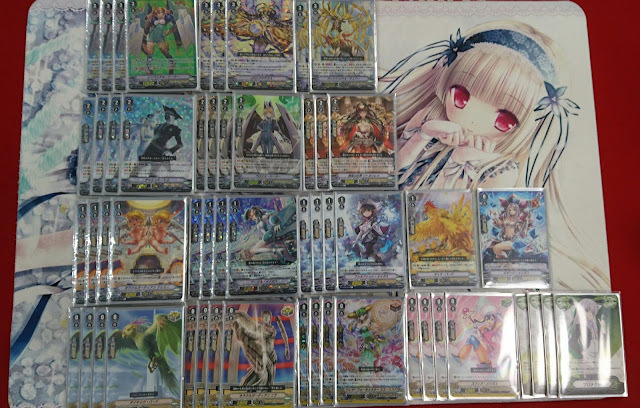 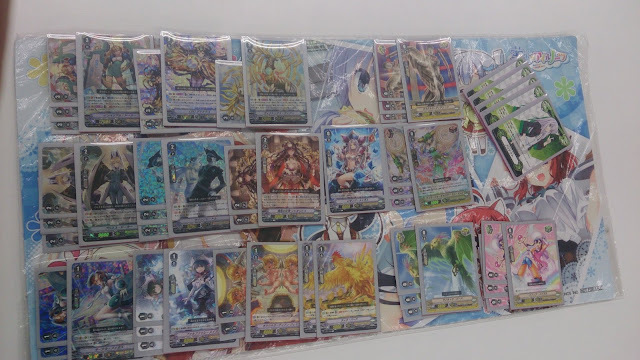 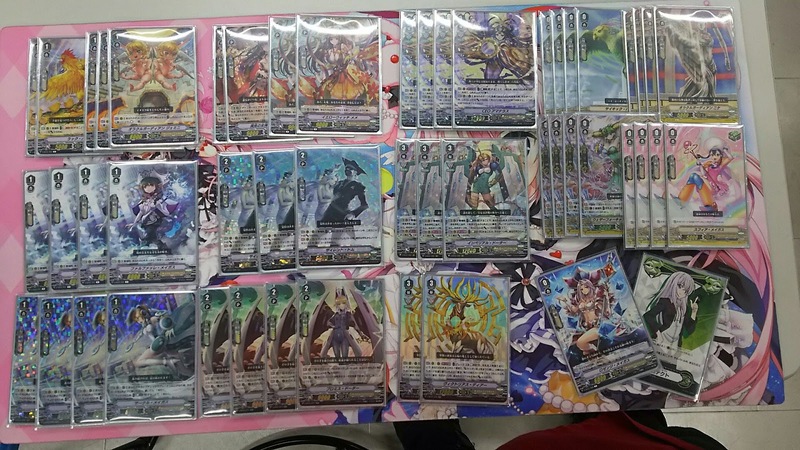 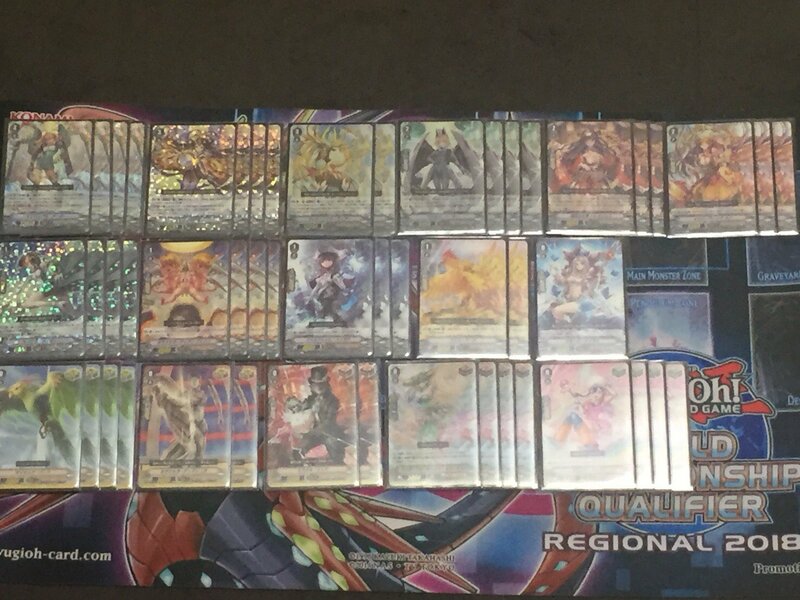 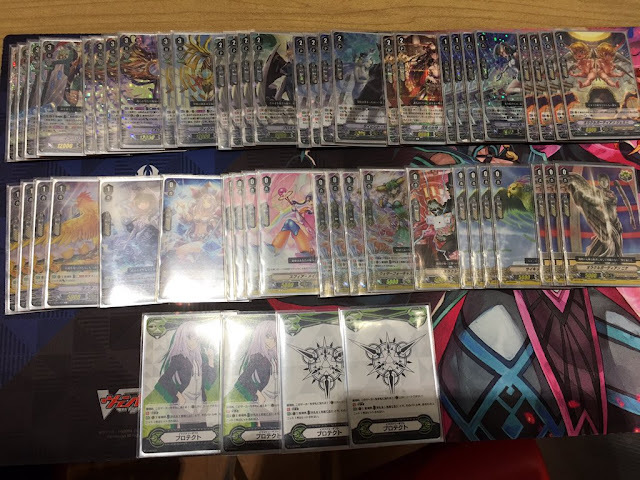 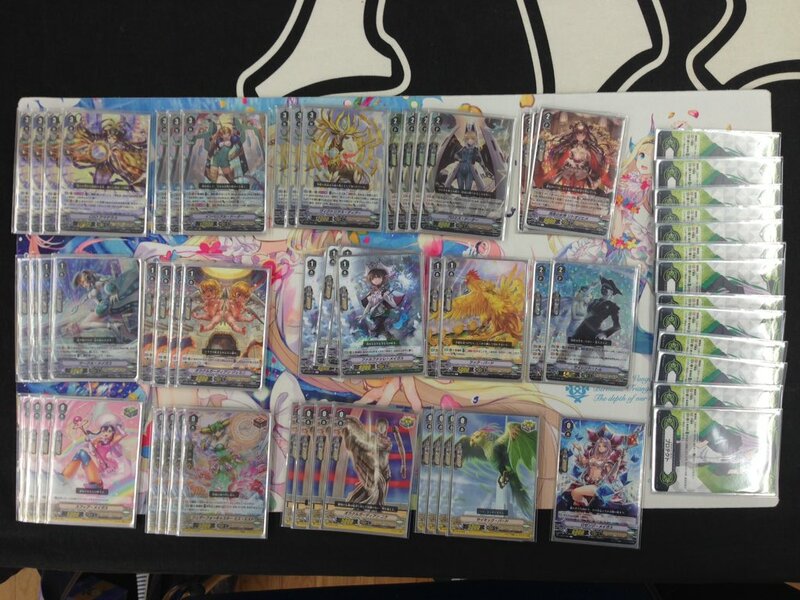 Overview: All decks run CEO Amaterasu and Imperial Daughter, and all but one ran Victorious Deer. Deer is most commonly run at 2; two decks ran 1 Deer, and one deck 3 copies. The only thing certain about the grade 2 lineup is that Promise Daughter is a staple card; three of these tops did not run Silent Tom at all, and several others ran him at just 2 or 3 copies. 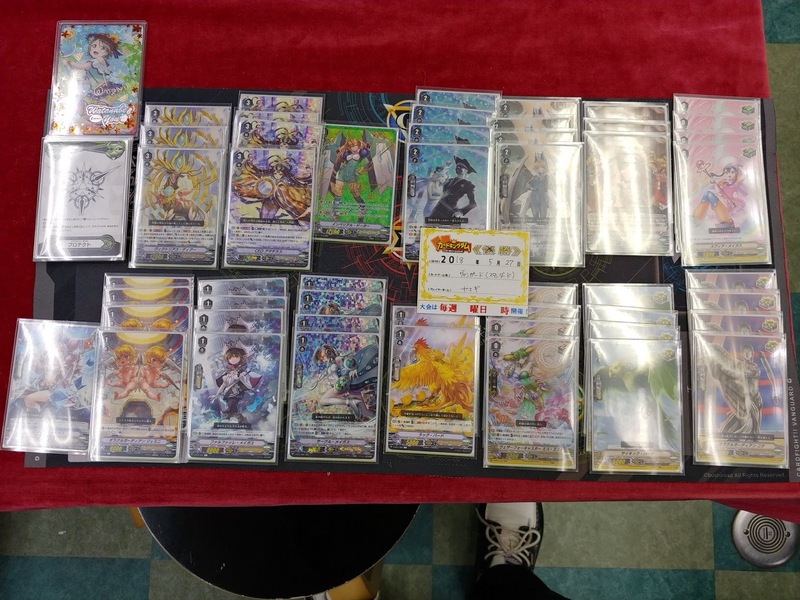 The next most popular choice for grade 2s lots is Sotoorihime, followed by Yellow Witch MeMe. 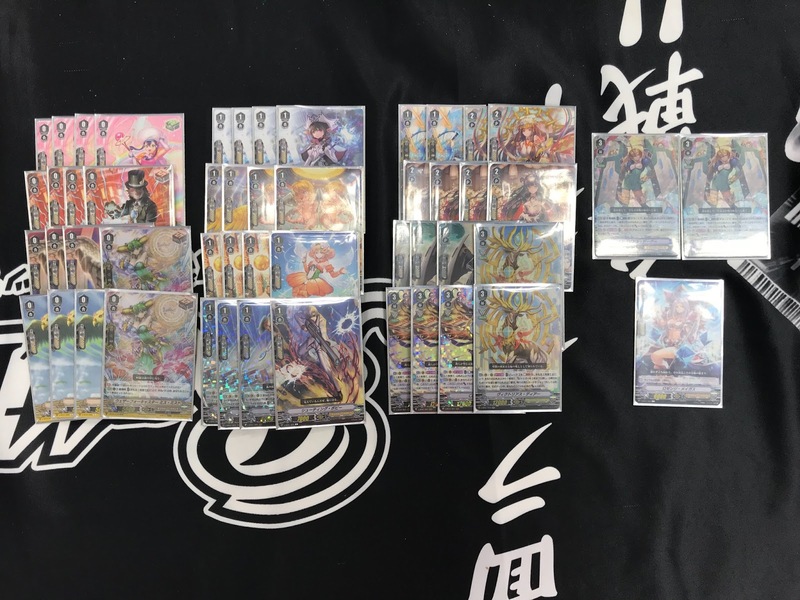 The staple grade 1s are Circle Magus and Farfalle Magus, with preference then descending to Gemini, Luck Bird, and finally Mizunohame. 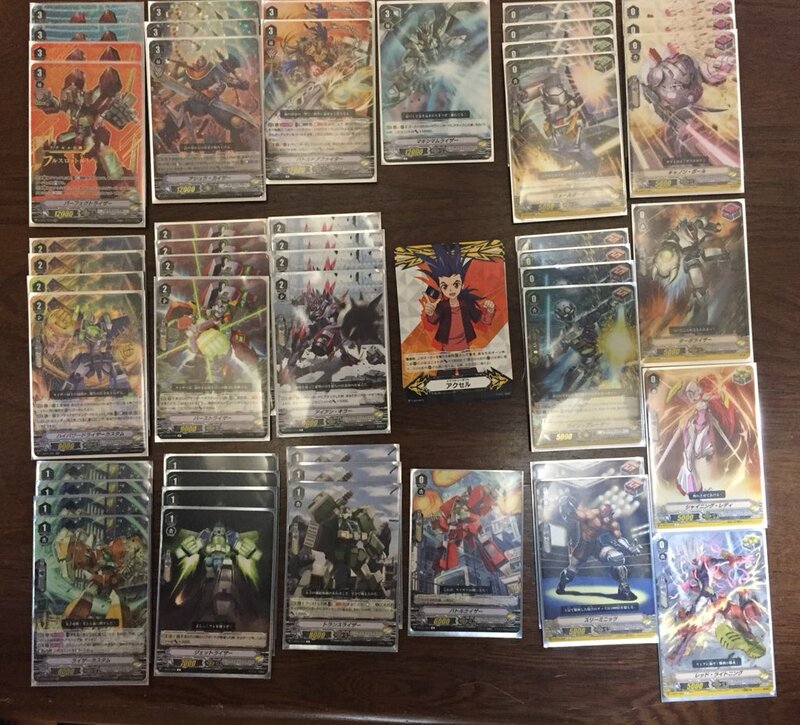 The average grade ratios for Oracle Think Tank are 17 grade 0s, 12.81 grade 1s, 10.88 grade 2s, and 9.31 grade 3s. 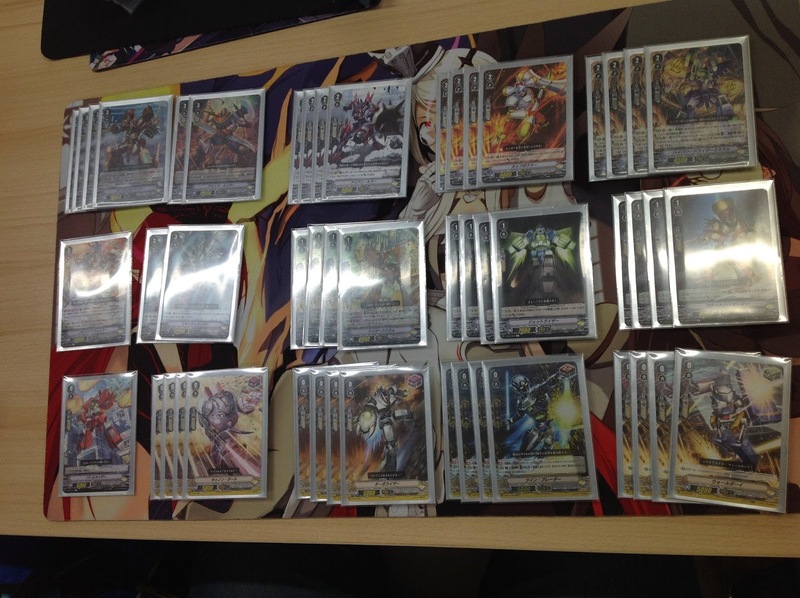 The average trigger lineup is 4 Heal 4.25 Draw and 7.75 Critical. 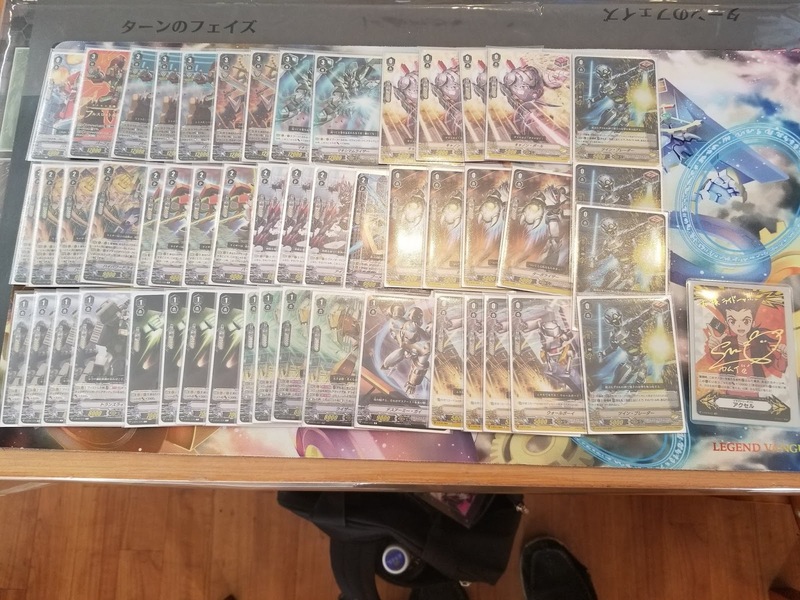 This deck appears to be made up of 51 cards, which would make it illegal. It is not counted in the average grade ratios. 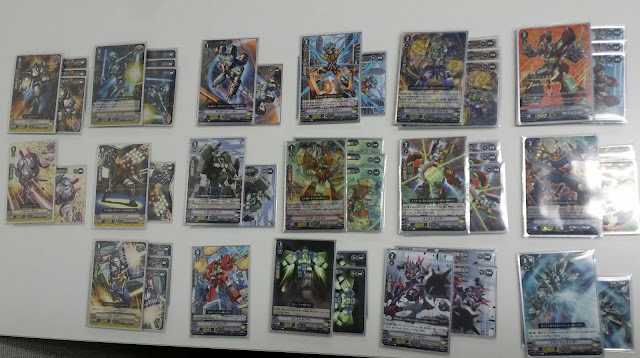 Overview: Nova Grappler is the deck with the least agreement on how to build it, down to grade 3 choices and trigger lineup. 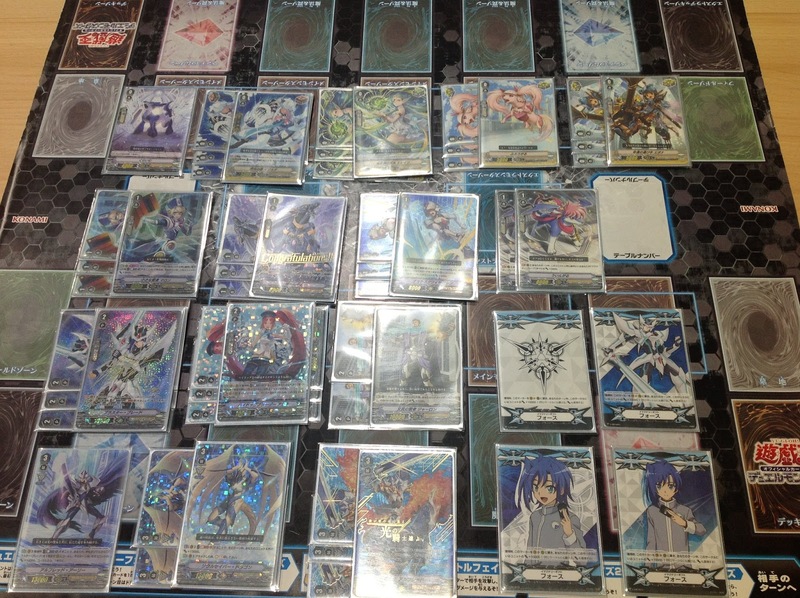 (This is the only clan which has topped while running 0 Heal Triggers.) 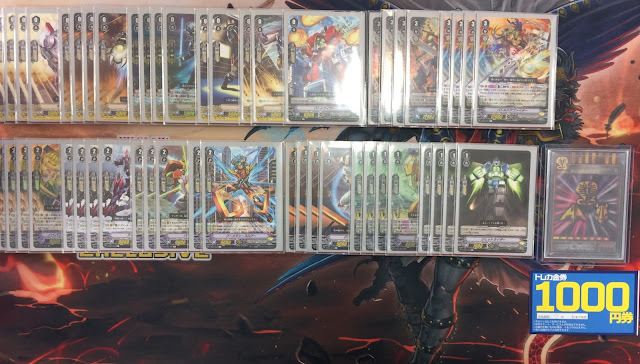 The priority grade 3s in descending order are Perfect Raizer, Asura Kaiser, Battledore Fighter, and Maximum Raizer; about half of all Nova decks run four types of grade 3, with only a small fraction using two types, and the rest running three. On average you will see 3 Perfect Raizer, 2 Asura Kaiser, 2 Battledore, and 1 Maximum Raizer in any given Nova Grappler deck. 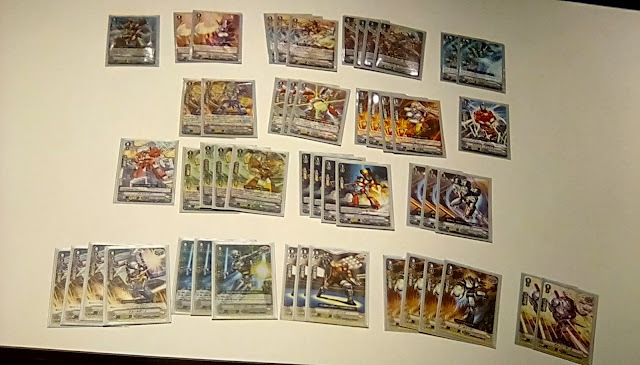 All Nova tops run 4 copies of Hi-powered Raizer Custom (and accordingly have to set Battleraizer as their First Vanguard, rather than Tap the Hyper) with Iron Killer as the second grade 2 staple. 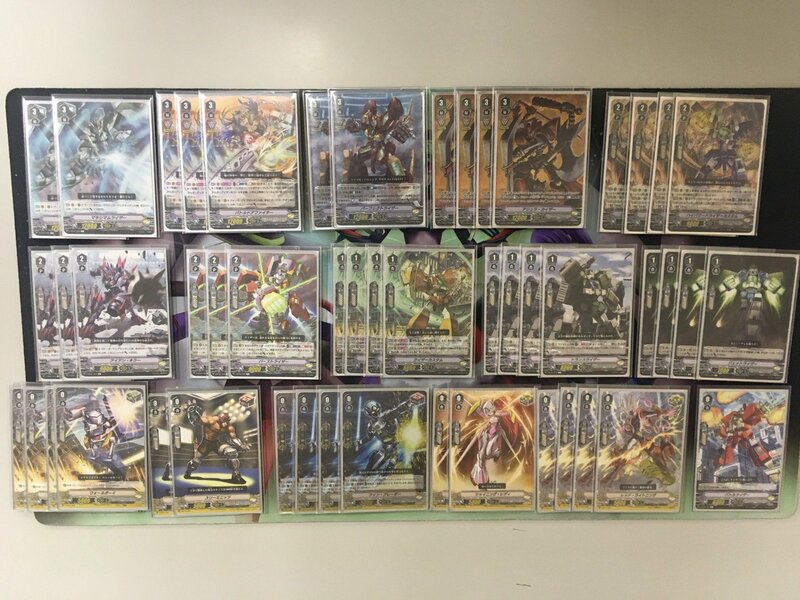 Burstraizer is the most-run grade 2 after Iron Killer, with Boomerang Thrower bringing up the rear. 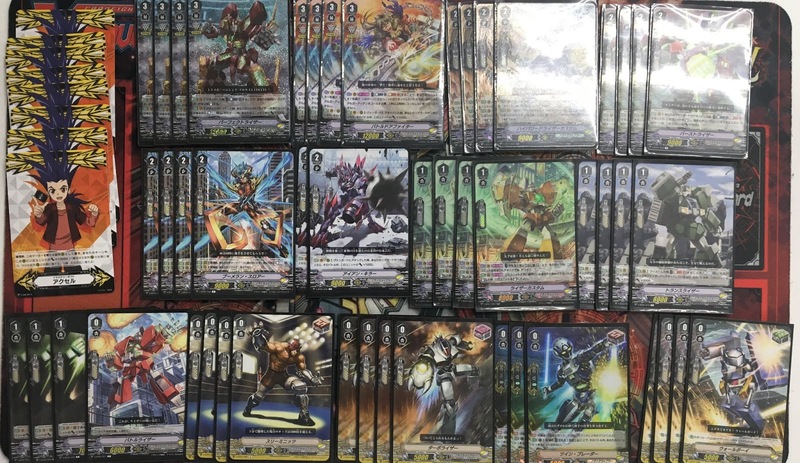 For the grade 1s, Raizer Custom is an automatic 4-of, and in descending order of popularity is followed by Jetraizer, Transraizer, and Death Army Guy. There is a split between Nova fighters on whether or not to use Hero support--those that do run Cup Bowler as a second 14k attacker with Rocket Hammer Man as a 13k booster. 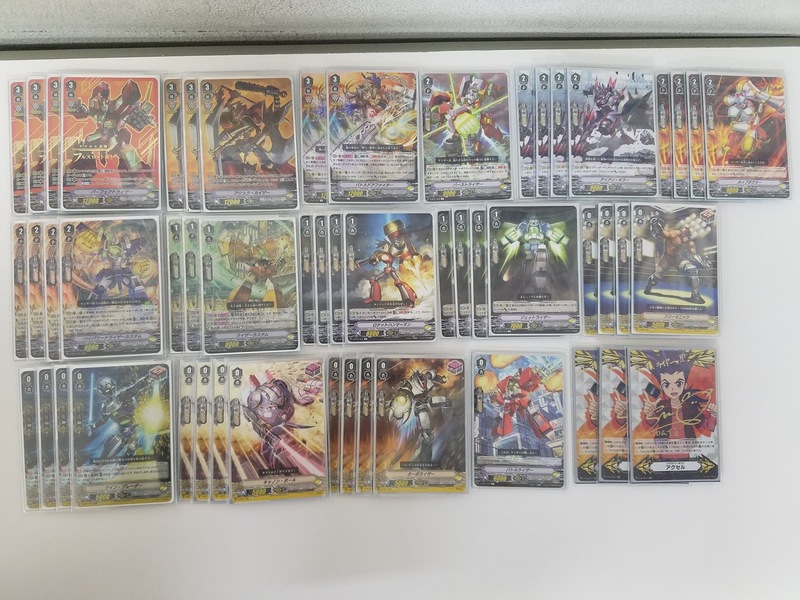 (Hammer tends to replace Death Army in these decks.) Not running Heroes means being able to dedicate more space to Burstraizer and Jet Raizer. 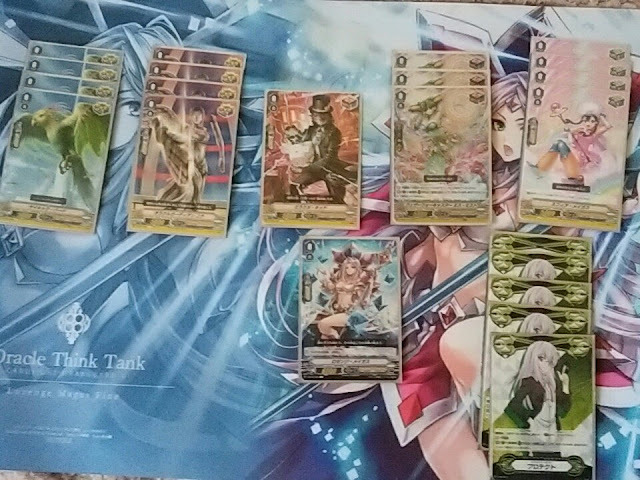 A small fraction of decks use Miss Splendor as one of their fourth kinds of grade 3. 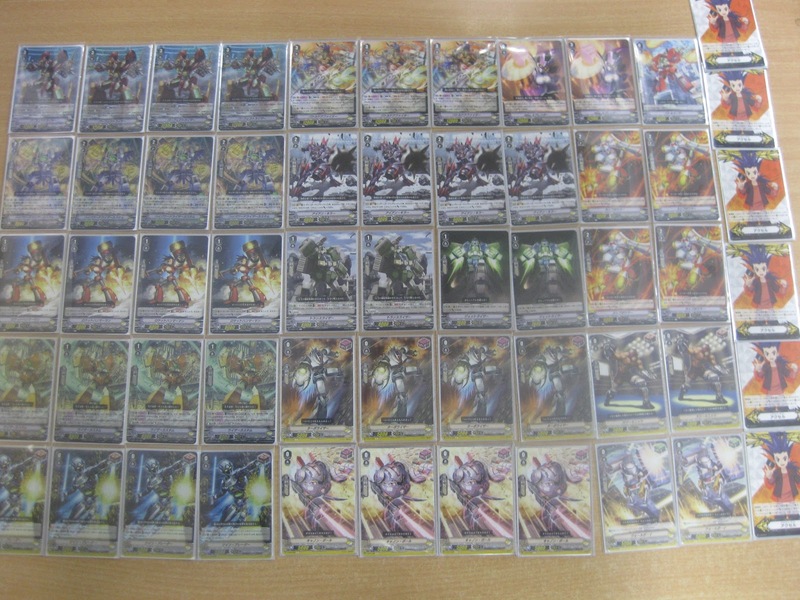 The average grade ratio for Nova Grappler tops is 17 grade 0s, 11.08 grade 1s, 12.23 grade 2s, and 8.31 grade 3s. 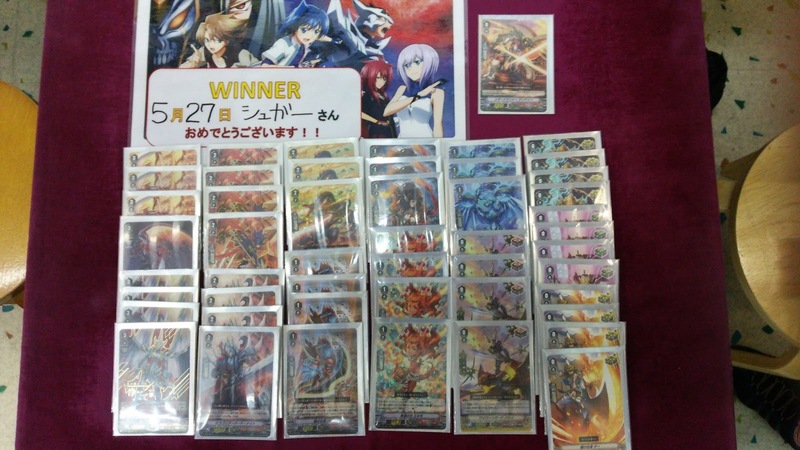 The average trigger lineup for Nova Grappler is 3.69 Heal 5.69 Draw 5.92 Front 1 Critical.